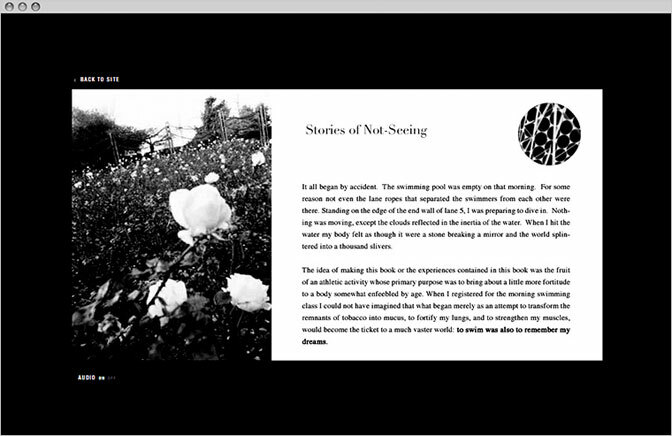 This micro-site is a especial section for Cao Guimarães website, created to promote the artist’s book Stories of Not-Seeing. 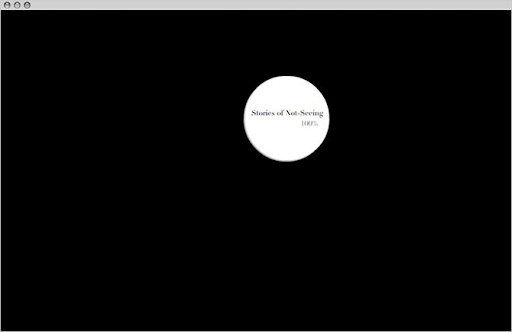 The navigation is done with a mouse-following mask that reveals, in inverted colors, the subsequent page’s content. 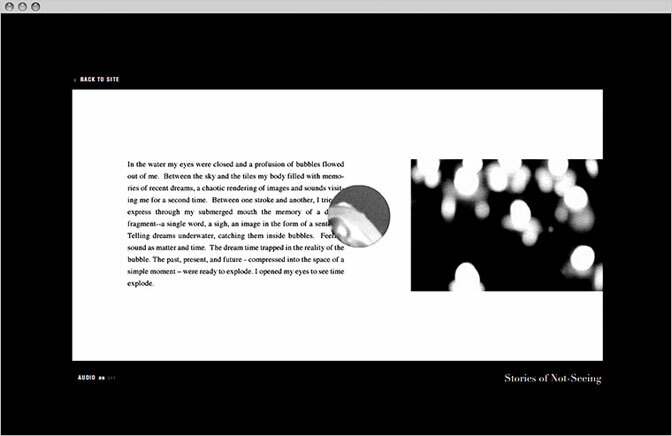 Cao’s website was featured in the book Web Design: Flashfolios, edited by Julius Wiedemann and published by Taschen in 2008.